Sugarcane, one of the most important commercial crops all over the world is one of the principal sources of sugar, ethanol, and jaggery globally. As per the latest report, there are more than 120 countries worldwide producing sugar on a large scale both to meet their own needs and to export it to other countries. Today, 80% of sugar is obtained from sugar cane and the 20% is obtained from sugar beets. Majority of the sugar came from tropical and subtropical climate that are mostly grown in the temperate zones of the Northern Hemisphere. Out of 120 countries, 70 of them produce it from sugarcane, 40 from sugar beet and 10 from both. According to the report published in 2017/2018, Statista, here is the list of top 10 sugar producing countries in the world. 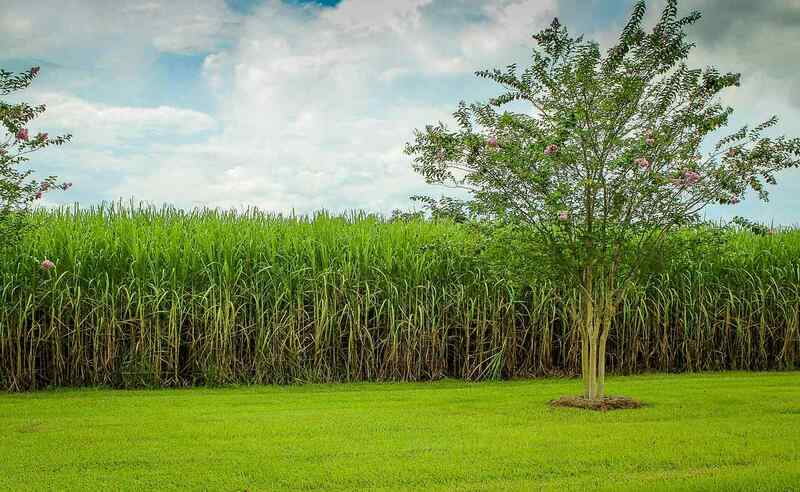 Brazil, the largest producer of sugar in the world has a key part of growing their local economy in recent history with the help of sugarcane production. Today, Brazil is the leading sugar producer and exporter in the world with 20 percent of global production and more than 40 percent of world exports. Also, The Sugar industry in Brazil brings it about 44 Billion dollars of revenue every year and gives 1 million jobs to the people working in that sector. Brazil produces 25% of the world’s sugar and ethanol and contributes to 80% of sugar produced worldwide. India, the second largest producer of sugar in the world also leads in the production of sugarcane worldwide. However, if alternative sweeteners such as khandsari (sort of raw sugar) and Gur (jaggery) are included in the fold, then India would be the largest overall producer of sugar. Today, India contributes almost 14 percent to the world sugar production with approximately Rs 1,250 crore investment in sugar industry. It also provides livelihood to 2.86 lakh workers. In India, the major sugar producing states are Maharashtra, Gujarat, Uttar Pradesh, Haryana, Tamil Nadu, Punjab, Karnataka, Bihar and Andhra Pradesh. China, the world’s third largest sugar producing country after Brazil and India contributed more than 90 % of the total sugar production in recent decade. Chinese sugar industry encompasses 270 operating sugar mills, of which 233 are sugarcane mills and 37 are sugar beet mills. Besides, many products such as pulp, paper, alcohol, yeast, cane juice, bio-manure, feed, and electricity are also producing from sugarcane. Also, the Chinese sugar industry is the major contributor to the socio-economic development of the major cane producing areas especially Guangxi, Yunnan and western Guangdong with Guangxi as the largest producer of sugar in China. With relatively small internal needs for sugar and low shipping costs, Thailand has become one of the world’s leading sugar exporters. In recent years growth in sugar production has come largely from expansion in the North and Northeast regions with greater emphasis on the introduction of higher yielding varieties and increased use of yield-enhancing production inputs. However, sugar production is expected to increase significantly in recent decades as per the latest report by United States Department of Agriculture (USDA). Pakistan is also one of the largest producers of sugar in the world. However, the sugar industry in Pakistan is totally dependent on sugarcane production although sugar in the northern areas is made from sugar beet. Sugarcane cultivation in Pakistan provides partial and seasonal employment to 4 million people which is approximately 12.14% of the total agricultural labor force. Mexico, the sixth largest producer of sugar in the world accounts for 0.5% GDP of Mexico. Covering an area of about 1.6 million acres, it is the second largest crop area after corn. Veracruz is the leading Mexican state in terms of area of sugarcane fields, followed by Jalisco, San Luis Potosi and Oaxaca. Also, Mexico has a domestic market consumption of around 4.5 million metric tons per year in spite of Mexico being the world’s 6th largest exporter of sugarcane. Colombia is the second largest non-centrifugal sugar producer in the world after India according to the United Nations Food and Agriculture Organization (FAO). In Colombia, 80 percent of sugar production occurs on farms of less than 5 hectares and employs approximately 120 thousand subsistence farmers throughout Colombia. Being one of the largest producers of sugar in the world, Colombian sugar industry is dispersed with thousands of low technology crushing facilities throughout Colombia. Philippines is the eight largest sugar producer in the world and second largest sugar producer among the Association of Southeast Asian Nations (ASEAN) countries, after Thailand, according to Food and Agriculture Organization( FAO). The sugar industry in the Philippines provides direct employment to around 700,000 workers spread across 19 sugar producing countries. But, the Sugar production in Philippines is primarily concentrated in the whole Negros Island Region, as well as in Central Luzon, Western Visayas and some parts of Mindanao. Sugar industry in Indonesia plays an important role in the economic growth of the country with production ranging from 2.5 to 2.7 million tons per year, that has an estimated cost of about 25 trillion IDR. Currently, Indonesia has 63 sugar mills which is owned by 18 companies. But, most of these factories are old because of underinvestment and have low rates of productivity. However, the government has planned to revitalize existing sugar units, expand cane area and set up a few new sugar units in collaboration with the private sector in order to make the country self-sufficient. U.S.A, one of the largest producers and consumers of sugar in the world accounts for 8.4 million tons of domestic production and twelve million tons of annual consumption. Sugarcane is grown in rotation with other crops primarily in Wyoming, Montana, North Dakota, Minnesota, Michigan, Colorado, Nebraska, Idaho, Washington State, Oregon and California with an average yield of 28 tons per acre, but significant variations in sugar production can be seen across different regions. These are the top 10 sugar producing countries in the world. Do post your comments.